Customized Construction - RICHARD S. PANDOLFI INC.
215-922-2000 Locally owned and operated on the Main Line outside of Philadelphia. To get in touch through email, please contact richardspandolfi@aol.com. We are environmentally conscious during construction; recycling demolition materials; no toxic material; airtight sealing; passive and active heat and air conditioning; use new supplies made from recycled material. Narberth’s choice for custom wine cellars. Wine connoisseur? Restaurant owner? If wine goes beyond being a drink for you and becomes an experience, you might just benefit from an atmosphere that caters to that experience. How about a custom wine cellar from Richard S. Pandolfi. Call now for a FREE, full-service estimate on the design and construction of a wine cellar that fits your residential or commercial property’s specifications for style and budget. 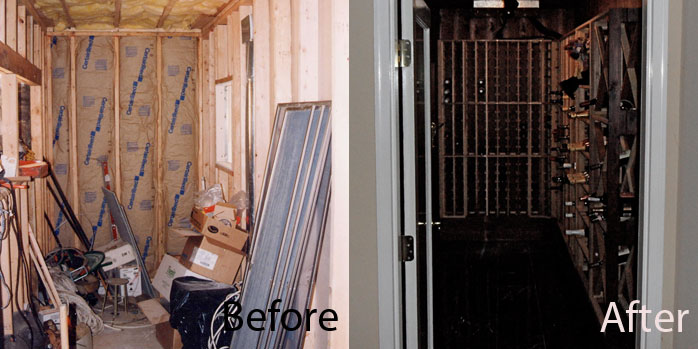 Don’t trust the custom creation of your state-of-the-art wine cellar to just anyone. Trust Narberth’s own wine cellar specialist who has been serving wine lovers for over 30 years. If it’s time your wine collection had a customized place to call home, call Richard S. Pandolfi today. Additions, renovations, repairs, and more. Why stop at a new wine cellar? Richard has the seasoned skills and industry knowledge to improve your home or business from the ground up. Discuss your needs for renovations, additions, and structural or foundation repairs today.